Discover the wonders of Central Portugal on this extensive guided tour. You won’t have to worry about booking accommodation or transport, as everything is organized for you. Enjoy the ultimate stress-free tour with a guide to take you on a variety of gastronomic, and cultural experiences. From a wine tour, to Palmela’s Castle, to Setúbal, and Azeitão. 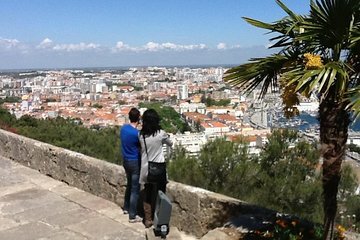 You’ll make the most of your trip and see Lisbon highlights, as well as smaller villages from a local’s perspective.